I spent 4 months doing fieldwork in Timbul Sloko, a small village in Demak District, on the North coast of Central Java (Indonesia). I was there as part of a Wetlands International project to restore the eroding mud coast of the village through hybrid engineering. Staying for a long time in an very small Indonesian village, sleeping in the house of the village head, meeting with the Indonesian government, working with Indonesian students from Diponegoro university, was a unique opportunity for me. On a typical fieldwork day I got up early in the morning, at 5/6 o’clock to be in the field at sunrise. I am not a morning person, but temperature and the sun intensity are just so much better in the morning. Some days, when I was in the field in the middle of the day, I needed to cover my whole body to protect it from the sun. It made me look like a mummy, with the hat, the t-shirt bound around my neck and the socks serving as gloves, but it was really necessary. I took depth measurements to make a bathymetry map. My equipment consisted of: a measurement pole (bamboo pole with a scale made of isolation tape), a very small boat made by a fisherman based on my own design (basically just a wooden chest), GPS and a note book. You might wonder why I used a boat instead of taking measurements while walking on the mud flat at low tide. I’ll tell you why: because it is just too hard! In the Netherlands, where I come from, walking on a muddy intertidal zone is very popular – we call it wadlopen. I did wadlopen in the Netherlands but that’s a piece of cake compared to walking in my fieldwork area. If you’re lucky you sink in the mud until your knees. Sometimes, however, you’re in the mud up to your waist, and walking then is quite some exercise, I can tell you! After many experiments, including binding bamboo poles to my shoes to imitate skis, walking on hands and feet and walking on my knees, I finally found the perfect method, which I called “the granny walker method”. I would walk on my knees using the wooden chest (which was supposed to be my boat) as support, like my granny does with her walker. The community I lived with was very kind and always interested in everything I did. I stayed with the village head, pak Nadhiri, who is one of the most caring and friendly persons I have ever met. So was his wife, who also cooked very nice meals for me three times a day. Pak Nadhiri is also the local imam making him a very important person in the local community. He really cares for his community: he built 4 schools in the four years he is village head and he has a made a playground of his front yard for all local kids to play in. The community itself is also very caring. Every Sunday people from the community voluntarily work together on some community project. On one Sunday they moved the whole house of a widow to a place less likely to flood. The children were also very nice, they followed me everywhere. As soon as I show my face I am surrounded by kids. And they always want me to take pictures of them. The adults are also interested in what I do: everywhere I go people ask where I am heading and what I am doing. And they are genuinely surprised to see me return from the field every day with wet muddy clothes. Let’s just say I am not afraid to get dirty! The people in the area are clearly suffering due to flooding and the erosion of their land. That puts in perspective the everyday problems I used to complain about. Living with the community, also experiencing 25 centimetres of water in your room, really gets you concerned with their situation. Our plan at Wetlands International is to restore the sediment balance in the area by making wooden structures that catch sediment. Once the elevation is high enough mangrove vegetation can colonize the area and finally after several years become a protective greenbelt. The mangroves will also provide many other functions besides protection against the sea, which will help the local economy. We are just starting this project, but I hope my work will contribute to a better future for the people in Timbul Sloko. And I hope that the community will eventually overcome the flood and erosion problems so that they can live in prosperity and sustainability within their environment. 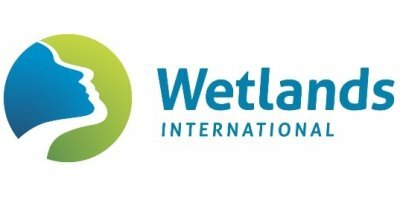 No comments were found for Diary of a Wetlands International intern in Central Java. Be the first to comment!